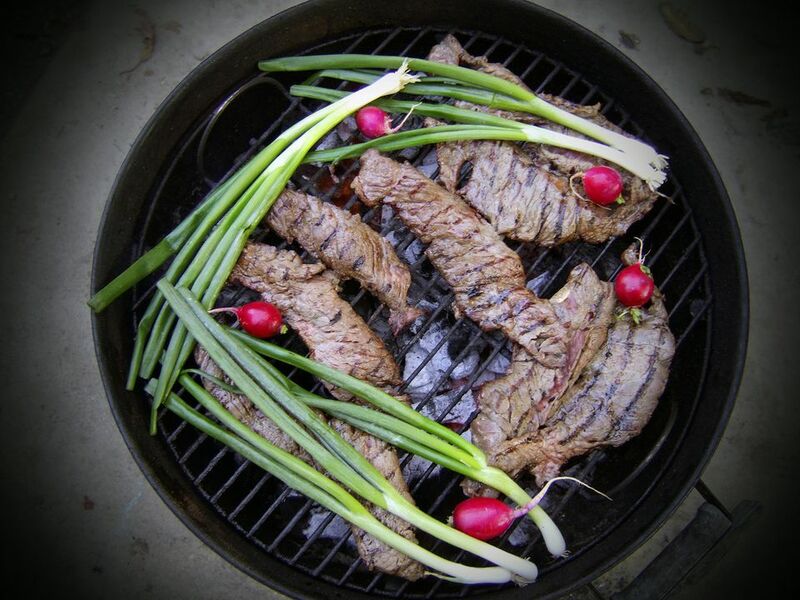 Whether you are making Carne Asada or not, this is a great marinade for most meats, especially beef. The acid from the citrus juices will tenderize the toughest cuts of meat and the tequila will give it a unique flavor. Combine all ingredients in a glass or plastic bowl, and mix thoroughly. Marinate beef for 4 to 8 hours, pork and poultry for 2 to 4 hours, and seafood for no more than 20 minutes in a zip-top bag in the refrigerator. If you make the marinade a day in advance and let it sit in the refrigerator, the flavors will have more time to combine.